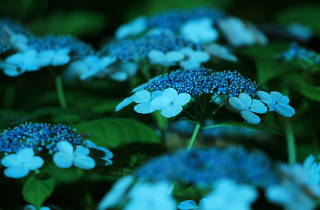 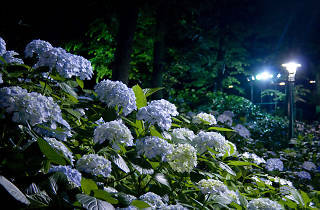 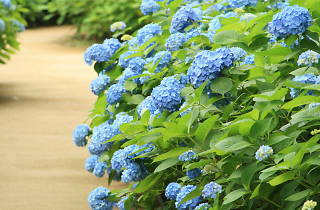 An old and somewhat outdated amusement park up in Nerima, Toshimaen is, surprisingly enough, also one of Tokyo's top spots for hydrangea flower viewing during the rainy season. 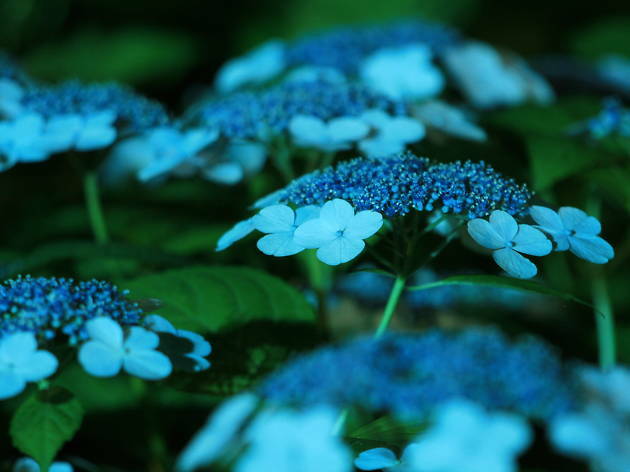 The blue and purple beauties are especially beautiful on Saturday and Sunday evenings, when they're lit up from 5.30pm onwards (entrance to the park costs only ¥300 after 5pm). 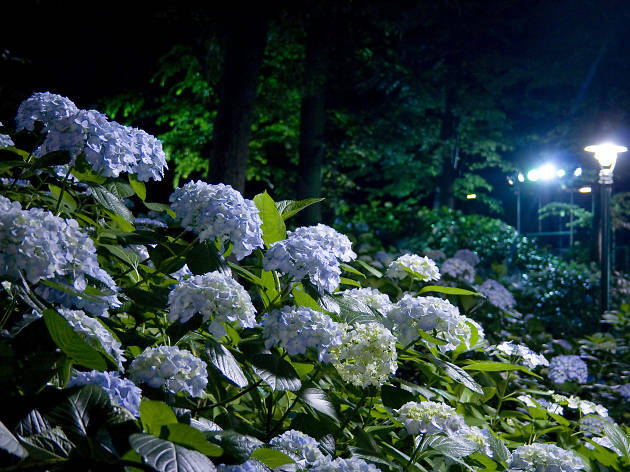 Some of the rides are kept open in the evening too, allowing you to admire the flowers from the park's miniature steam train or the antique merry-go-round. 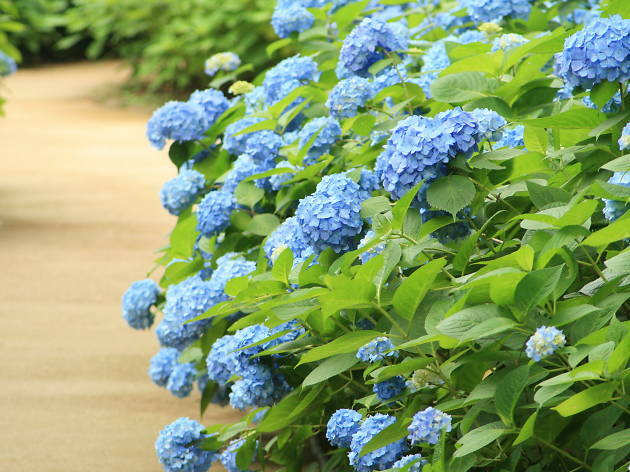 And if you're looking to learn more about the hydrangea (and understand Japanese), know that free guided tours of the garden take place on Mondays and Fridays from 2pm.